I hope you all are celebrating! I am! 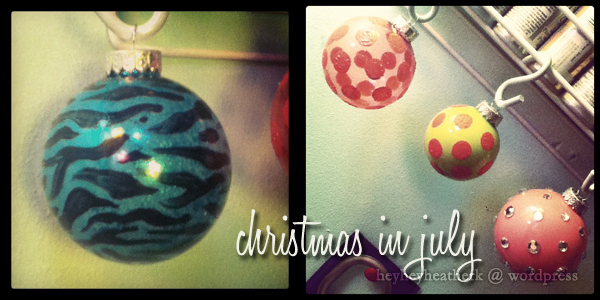 I’ve been making lots of glass ornaments, using so many of the glass and jar ideas I see on Pinterest recently. The only thing I haven’t done is started to listen to Christmas music… yet. Now Christmas movies, on the other hand, absolutely. When I’m going through massive amount of emails, I like to have music or something on in the background, somehow that keeps me focused and I can shuck out a ton of emails very quickly. The other day, while doing this, I was watching “White Christmas” on Netflix, one of my top 5 favorite Christmas movies! So I took a break from mason jars and went for it with the extra glass bulbs I had left over from last Christmas when I made all of the glitter ornaments, many of which are still sitting in a basket at work from decorating my cubicle. Obviously, I needed to make a Tardis ornament. 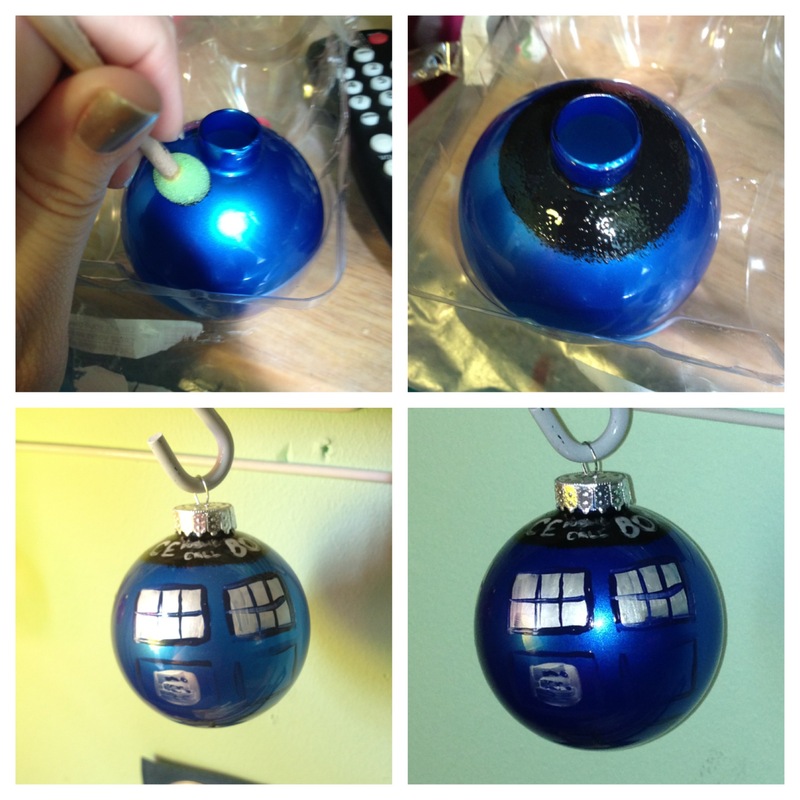 The world wouldn’t make sense without a Tardis ornament… you are welcome for me setting the world straight again. 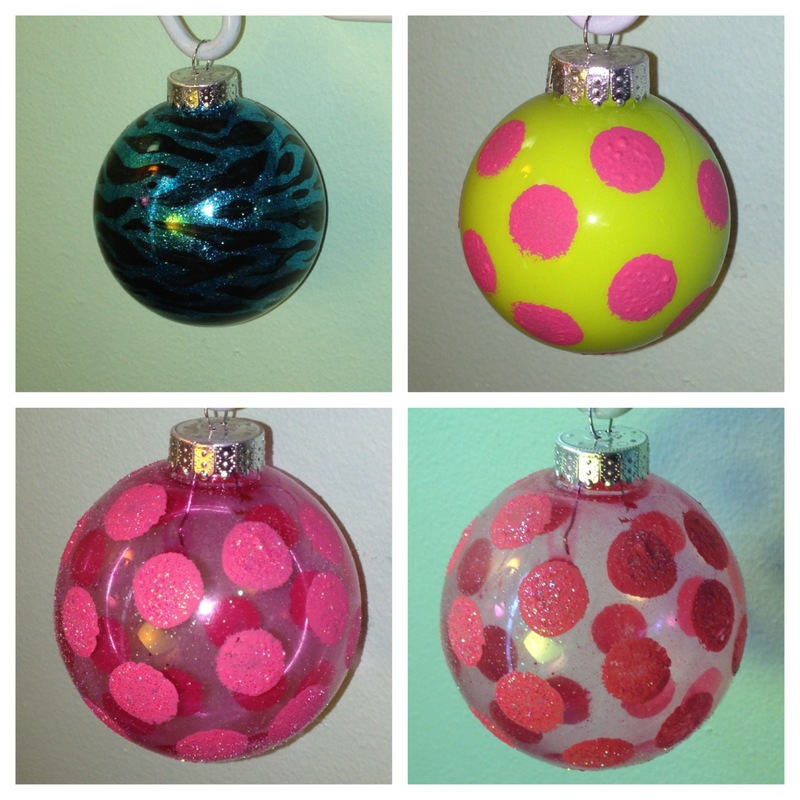 The top left one was made by mixing mod podge with teal glitter and then coating the inside. After it dried, I painted black zebra stripes on the outside. The top right was made by coating the inside with paint and sponging polka-dots on the outside. 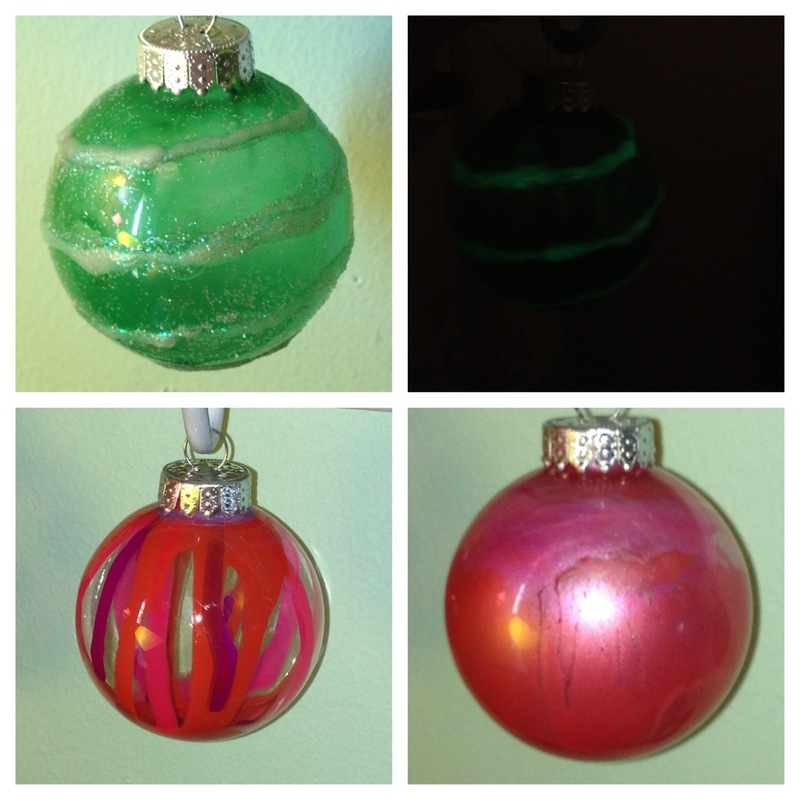 The last two are the same ornament but using the glass staining method by mixing mod podge and food coloring and coating the inside of the ornament. Then sponging polka-dots and glitter on the outside. The top was actually used with the glass staining and paint as well, but I tried to do a glow-in-the-dark swirl of puffy paint on the outside. To the right was the picture in the dark but didn’t come out very well with my new iPhone 😦 The bottom left was made actually with nail polish! I dabbed each color around the edge and let it dry. The bottom right was made with paint and mod podge staining mixture… it is neater in person, it looks a little like a planet. 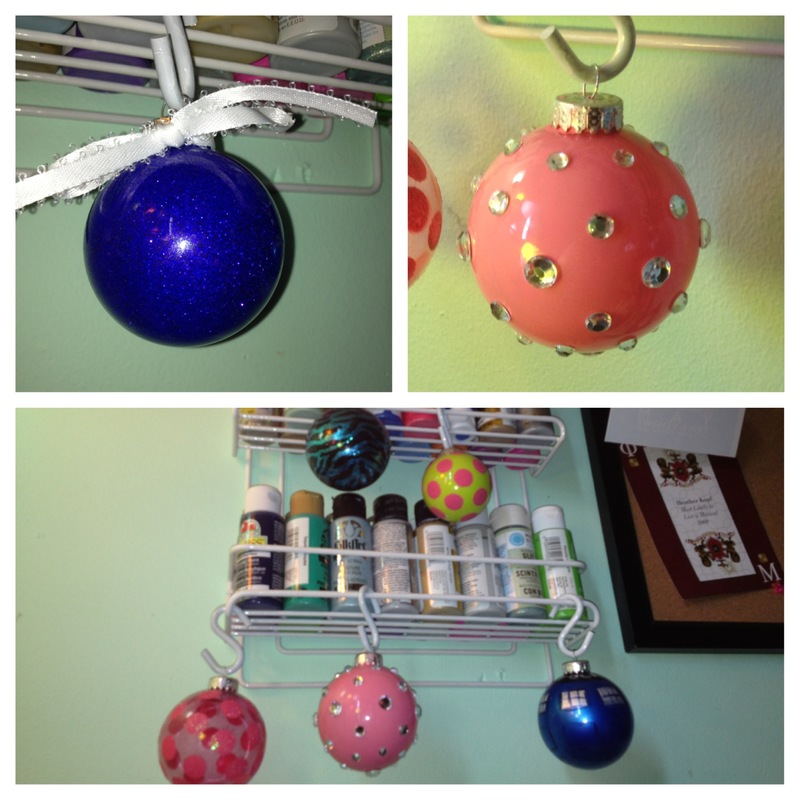 The top left was again made with dark blue mod podge stain and then coated with dark blue glitter. The top right was done with the paint coating and adding jewels to the outside. I tried to use my racks as a make-shift “tree”… not great but did the job of displaying them! 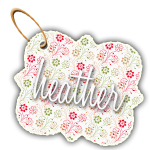 These are GORGEOUS – they’re all so pretty, I can’t even choose a favorite! My favorite is the Tardis, of course, but they are all so completely adorable! Pingback: Why Don't You...? | Happy. Pretty. Sweet.